The final step in the hardware part of the Speeduino install is to fit the Wideband O2 sensor. 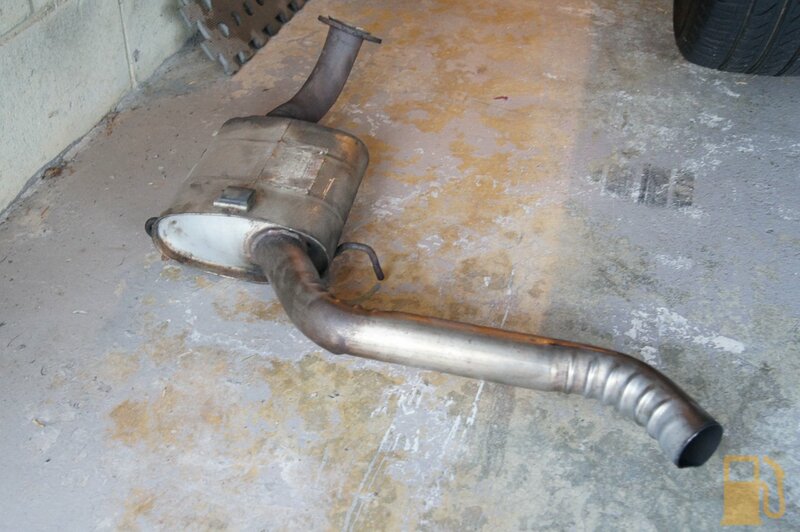 This requires the exhaust being removed. 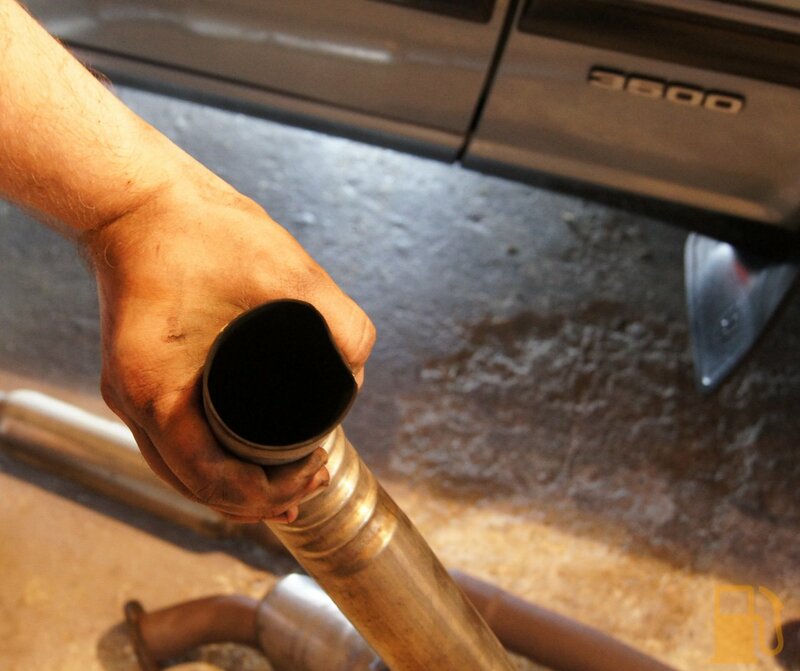 A Wideband O2 sensor is a sensor in the exhaust the measures the oxygen content of the fumes going down the pipe. This allows it to work out the air fuel ratio, so that I can tell if the engine is running rich or lean and tune from there. 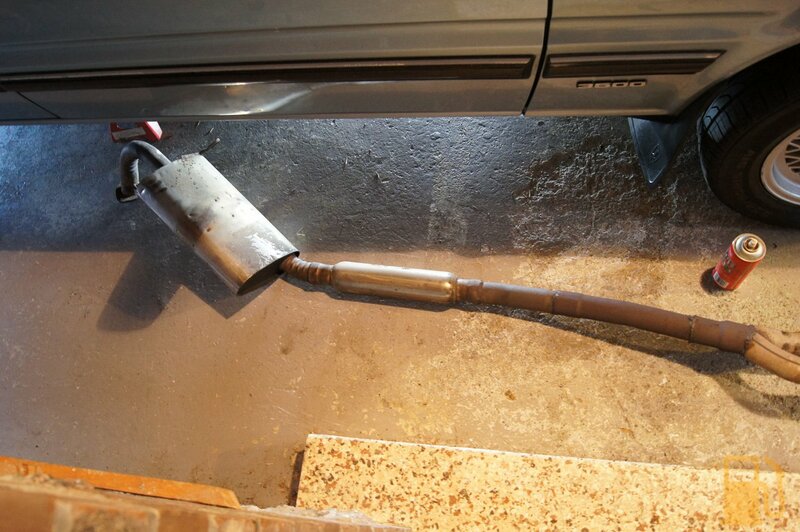 It is installed in the exhaust pipe, and in my car, about half way down the car just after the Y-Pipe joins the two banks of exhaust. You can have it only measuring one bank of exhaust (or even two sensors doing both), but I prefer the mix of both for a more complete overview. I purchased a 14point7 Spartan2 controller and Bosch 4.9 sensor. It’s a nice bit of kit, well made, although it took flipping ages to send/arrive and the communication from 14point7 was badly lacking. Thankfully I didn’t need it in a hurry. 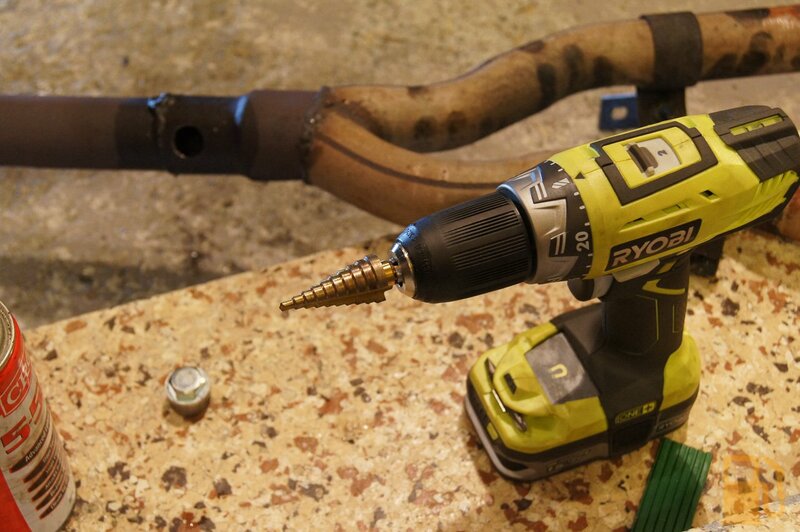 To fit the sensor I need to remove the exhaust from the car so I can have the bung that the sensor screws into welded into the pipe. The first problem with this is that the whole exhaust from after the downpipes, to the section over the rear diff is one big heavy section. 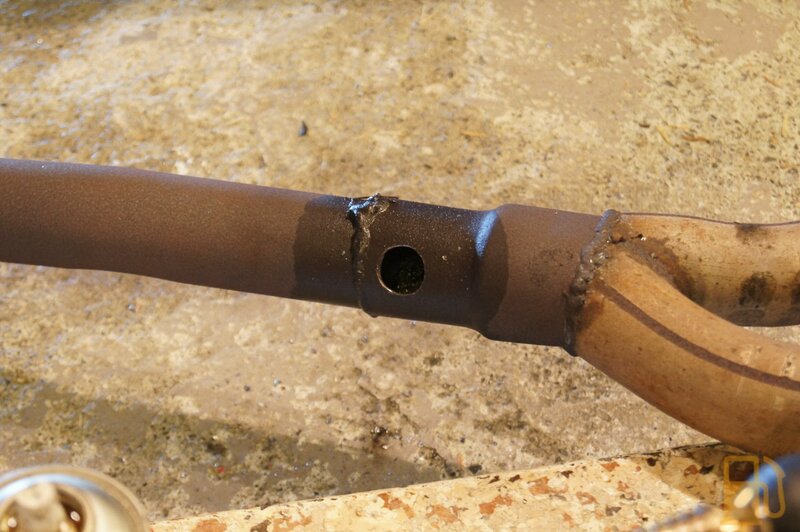 The factory exhaust would have a slip joint half way down the exhaust, but my exhaust is solidly welded. I have been procrastinating this job for a while because I knew it was going to be a pain in the bum to do, but yesterday after playing with Scooty Puff I jacked the rear of the Rover up and put it on stands. I needed the back of the car in the air the most, as I need the rear axle to hang down and give me enough space to get the exhaust out from above it. 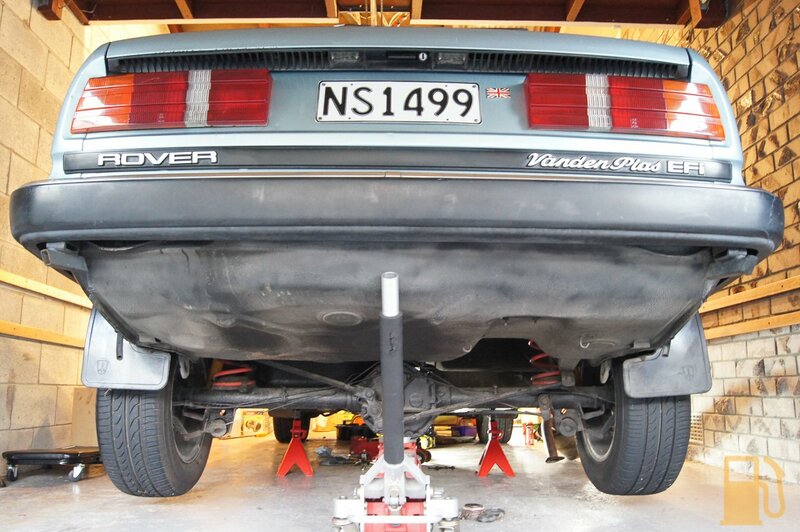 With the car in the air it was only a matter of undoing the six bolts for the two flanges to the downpipes, the three bolts for the rear flange, and two bolts that attach the brackets to the trans. 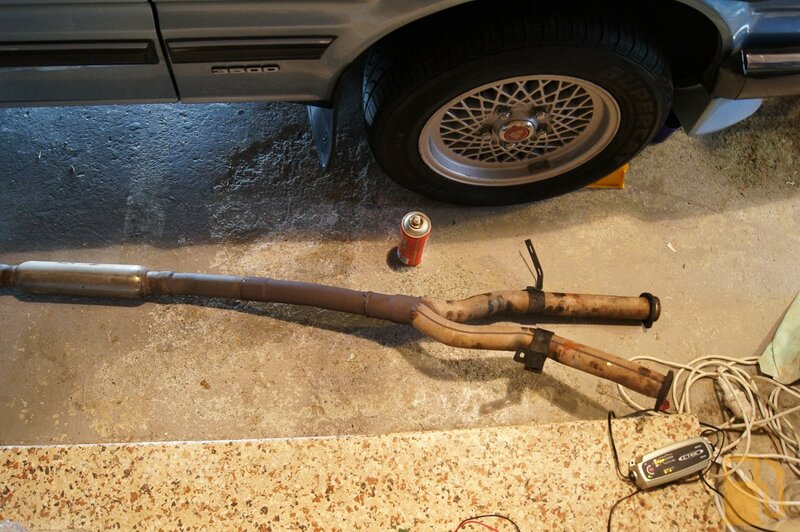 After that, in theory, the exhaust should come out, but being one bit piece I also needed to drop the crossmember in the middle of the car so that I could slip the exhaust out. With that section out I marked where I wanted the hole, and used my awesome stepped drill bit to whack it in. I’ll be able to have the bung welded into that quite easily. 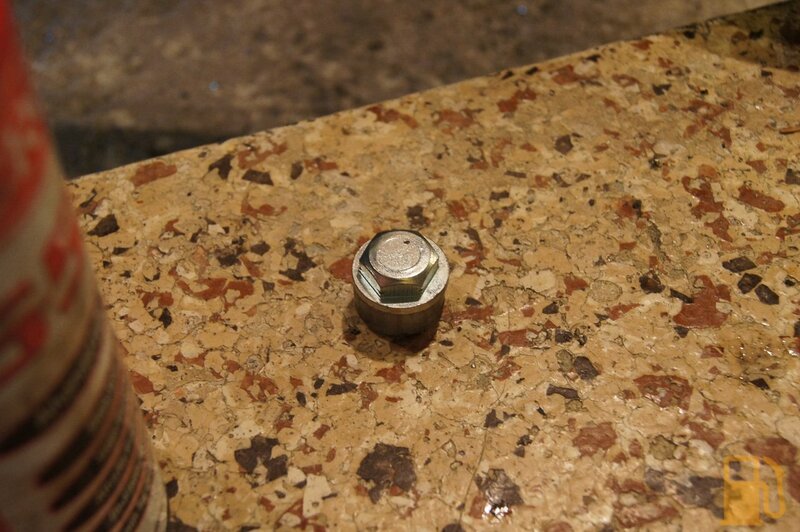 I drilled it slightly above center, so the sensor tip will be pointing down and won’t hold condensation. Having the whole exhaust out will also finally allow me to fix this damn dent in the tailpipe. Its bothered me for a long time. It’s a pretty ugly exhaust, and parts look like it was welded together by a bird that ate too much hot curry, but it works for now. It’s not aging well either, so at some point I will need to look at getting a new system made up that is a bit better designed and built. Now to wait for the kind offer of my neighbour to weld the bung in, and then I get the fun of refitting the silly thing. Once the O2 sensor is in place and hooked up to the Speeduino I’ll be able to start tuning the car properly, and maybe even get a drive or two in it. Next Post Scooty Puff Jr, It’s Alive!